Autoroutes are the French version of motorways and are generally the easiest and quickest way to drive in France. The majority of Autoroutes are run by private companies on behalf of the government and they therefore charge fees or tolls for you to travel along them. 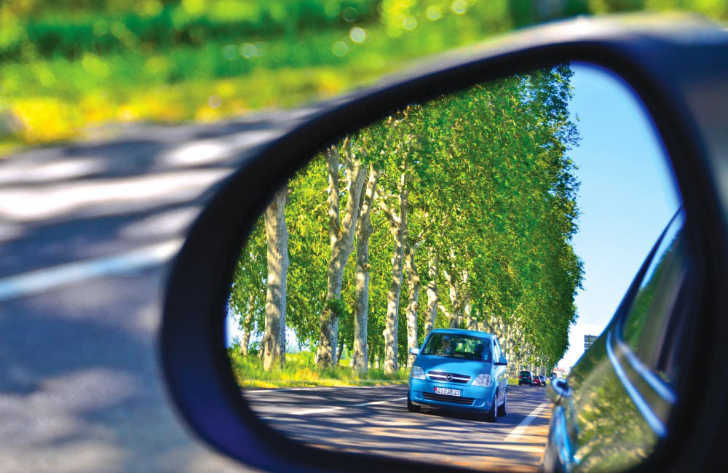 Although it is possible to drive in France without using the toll road systems and Autoroutes, we wouldn’t recommend it for those planning on travelling on long journeys as you’ll find that you fuel consumption will suffer and the journey may take considerably longer. The speed limit on French Autoroutes are variable and depend upon the type of vehicle you are driving and also the weather! All vehicles can be limited to 50km/h at times when visability is reduced to less than 50m. The French Autoroute system makes up in excess of 9000km of the total French road network and therefore has its own separate types of road signs. Theses signs are generally made up of white letters on a blue background with the Autoroute road number starting with the letter “A” in white on a red background. You’ll also notice plenty of “Péage” signs along the Autoroute road network which tells you you are on a toll road and when the next toll payment areas are located. Autoroute toll systems are very simple to use. As we’ve said, the term “Péage” means “Toll” in French and the signs are normally clearly visible on approach to a toll restricted area. Payment is required normally on several different occasions which include when exiting the Autoroute at your chosen destination, when Autoroutes come to a natural end and also when area of Autoroutes link onto toll bridges and tunnels such as the Millau Viaduct and the Pont de Normandie near Le Havre. There are two ways to pay for your trip on the Autoroute which include using a Toll Tag or by paying with cash or card. If you pay by cash or card you either drive onto the Autoroute or collect a ticket on some occasions when you join the Autoroute and then travel along it until you reach one of the payment booths. Here you will be charged the appropriate toll for the distance you’ve travelled and you simply pay with either card or cash. We say simply but it can be quite tricky in a right hand drive car if you have no passenger to lean out of the window! The other option for paying is by way of a Toll Tag. These Tags are a very useful bit of kit and if you regularly use a similar system in the UK for bridges, tunnels, or ferries, you’ll know exactly how handy they are. The toll tag for the Autoroutes in France are provided by a company called SANEF. More information on the SANEF tag can be found by clicking the link to our SANEF page. The toll tag simply fixes to the windscreen of your vehicle and as you approach the toll barrier the tag is read and the barrier automatically opens. The appropriate fee is then charged to your SANEF account and when you return home you’ll receive a receipt for your payment.